Last year's attempts for a mega-merger of equals between Publicis Groupe and Omnicom collapsed because Maurice Lévy failed to show John Wren "sufficient respect", according to WPP's Martin Sorrell, who went on to talk retirement plans, Tesco and Dunnhumby. Talking about his interview at Advertising Week Europe with Olympic sailor Sir Ben Ainslie, WPP's leader said he had been "more unassuming" than Olympic GB Cycling Team leader Sir David Brailsford, whom he interviewed for the event in 2013. 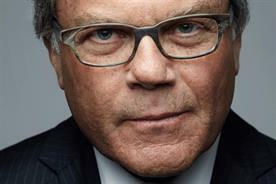 However, Sorrell, who founded WPP 30 years ago, rejected the idea that he himself had ever been a lone sailor, "not with 180,000 people". The chief executive who turned 70 years old in February also batted away a question about any retirement plans saying he's "not in the grave yet". He later added: "They'll cart me off to the glue factory," before insisting he finds the marketing and advertising business "just as interesting as it's ever been".